I designed this kit for my daughter's birthday party and I'd like to share it with you. - 1 Printable paper bag. - 12 printable cupcake topper. - 4 printable cupcake wrapper. - 4 printable party circle. - 2 printable party star. - 5 printable digital paper. - 3 printable hello kitty clip arts. - 1 SVG paper bag Pattern. - 1 SVG hello kitty face. 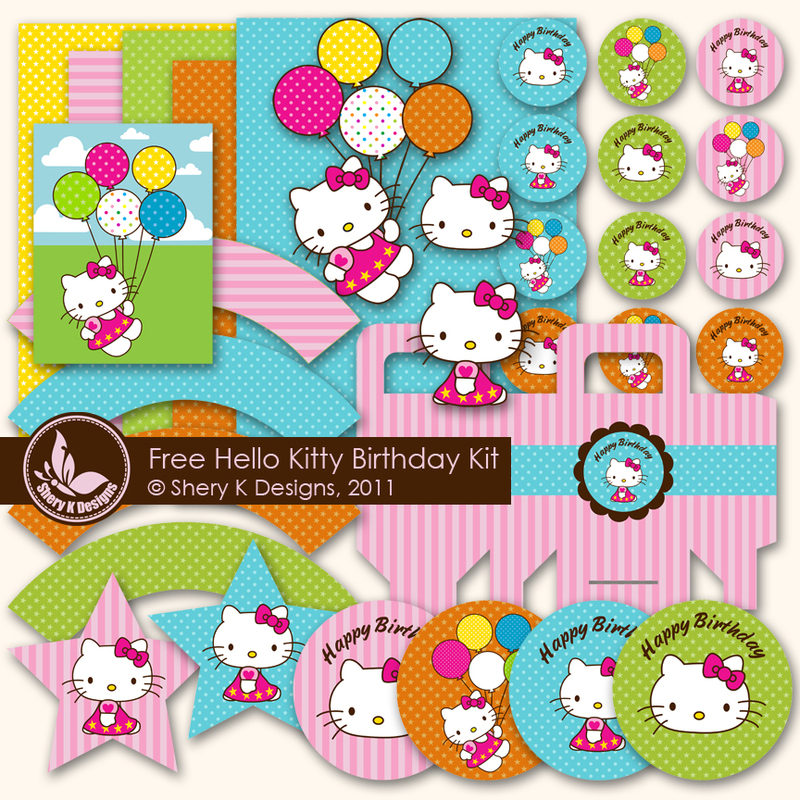 - 1 SVG hello kitty with balloons. - 1 SVG hello kitty sitting. - 1 SVG cupcake wrapper pattern. Thank you so much for this awesome kit. You are very kind to share. Wow! This is such an awesome set!!! Thank you very much. Thank you so much for all. WOW!! This is such an awesome kit. Thank you so very much for sharing. oh my gosh! this is so cute! You are so nice to share this! I am planning my daugther's 2nd birthday around this theme and it is perfect! Thanks again! Thank you so much, it is such an amazing set! wow!! than you so much...I love it!!!!!! This is awesome! Im throwing my sisters baby shower and her theme is hello kitty! I will definitely use some of these adorable printables! Thank you so much! I am planning my daugther's 1nd birthday around this theme and it is perfect! Thank you so much for sharing this! My best friend is using this theme for her daughters 1st birthday party! 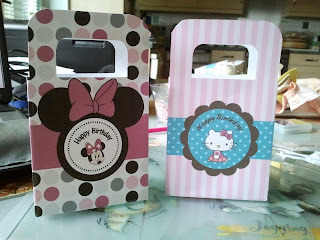 I´m planning my niece´s 4th b-day and hello kitty is the theme! just perfect! thanks so much 4 sharing!! Thank you very much! This kit is lovely! Thanks so much for sharing! My daughter wants Hello Kitty for her 3rd Birthday, these will be fun to use! Do you have pictures of how you used them? thank you so much for this cute set! Wow! Just what I needed while planning my daughter's 5th birthday! Thank you so much!! This set is amazing. This is just what I was looking for my granddaughter's birthday. Thank you for sharing all your hard work! Thank you, it is perfect for my daughter's birthday! You are so talented! Thank you very much for sharing these beautiful files. Have a blessed Holiday! THanks for the awesome share. Tou are so generous! Muchísimas Gracias por compartir este excelente trabajo!! y regalarnos esta posibilidad de hacer las cosas para el cumple de nuestros hijos con nuestras propias manos, sos muy amable!! gracias!! Thanks a lot for sharing this lovely kit, my almost three-years-old goddaughter 'll be so happy to see it !! Your printables are fantastic ... as the mother of two boys, I don't have too much use for Dora or Hello Kitty, of course, but the printable papers and cupcake toppers are usable even for those inclined more towards bold colors, when you take out the pink. 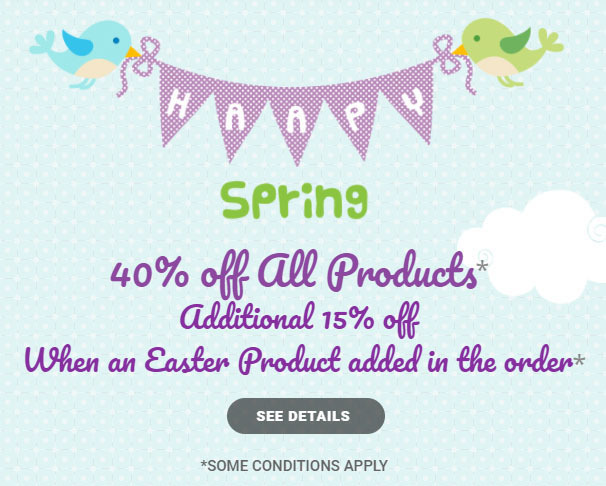 ;) And of course the Elmo printables...those are right up our alley. Thank you! Thanks soooo much to share this with us. I am going to have a cupcake party with nieces, and I am sure that they will love it. This is awesome!! My daughter wants a Hello Kitty party this year and you have really helped me out. THANKS!! Thank you for Sharing!!! I can't wait to plan my baby's first bday party!! Thank you very much for your generosity! Thank you so much for sharing theses. Such a great help. Thank you very, very much for sharing your hard work! I am printing these right now to use with my daughter's birthday party this weekend. Thank you again! 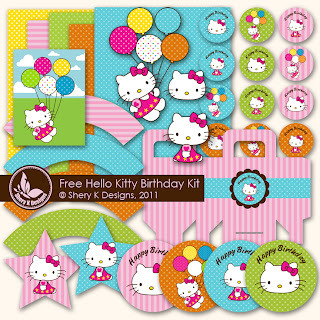 Thank you so much for sharing these great Hello Kitty party printables! You have made my daughter's day. We're printing them right now for her party this weekend. Thanks again! Thanks so much for sharing these wonderful pieces! My 3 year old daughter wants all hello kitty for her birthday! Thank you so much for sharing this. My daughter absolutely went crazy when I showed this to her for her upcoming party! OMG, THANK YOU SO MUCH FOR SHARING, YOU REALLY ARE A HELLO KITTY LIFESAVER!! I HAVE A BDAY PARTY TO DECORATE FOR A 13 YEAR OLD GIRL WHO IS MENTALLY CHALLENGED, AND SHE JUST ADORES HELLO KITTY. THANK YOU THANK YOU AND THANK YOU AGAIN. I CAN'T WAIT TO GET STARTED PRINTING AND GLUING! WILL TAKE PICS AND SHARE. THE PARTY IS NOT UNTIL JANUARY 13TH. thank you sooooooooooooooo much. I love u! Wow! Thank you so much for sharing! My little girl is so in love with Hello Kitty - this will be perfect for adding some fun to her birthday party!! Thank you! Thank you! Thank you!! Thanks a lot! You've made a little girl happy! Thank you so much for sharing these! Thank you. These look like they'll be a great help to me in planning my daughters party. I appreciate it! You are awsome. Such a great kit!!! Thanks so much!! You are so generous and a great artist!! Thank you so much! it`s beatifull, great help, do you have my little pony birthday party kit? Thanks from Costa Rica in Central America, I looked around a lot, yours is the best! Thank you for sharing, you just saved my day! I love it!!! Thanks soo much! great help!! Thank you, thank you thank you soooo much. I love it. Thanks you so much! I am really excited to use yet another cute party printable this year too. I love your designs. thank you for sharing.. it's beautiful .. Thank you!! This will make a home-made party look more professional with your touch. Thanks for sharing. Thank you so much for sharing this out! My girls would love to see her Hello Kitty party! My girls will love to see her Hello Kitty theme birthday party. You are an angel! Thank you for sharing your kit. Thank you so much for sharing with a Nana who has 10 granddaughters that love Hello Kitty!